Hazy skies, ‘colorless’ landscapes, and ‘bland’ views plaguing the most treasured national parks and wilderness areas in the West could soon be a thing of the past thanks to pollution controls demanded by a three-state coalition including more than 150 outdoor industry businesses. The Environmental Protection Agency today announced that Utah’s Hunter and Huntington coal-fired power plants must install industry-standard pollution control mechanisms, which will protect families and businesses in Utah, Colorado, and Arizona. The decision came in the wake of public outcry spearheaded by a coalition of outdoors businesses and private citizens. The ’70s-era power plants sit some 80 miles northwest of Canyonlands and Arches National Parks. Without modern emission-control technology, they spew pollutants that contribute to haze pollution at these parks and across other areas of the west. Combined, the outdoor economies of Arizona, Colorado, and Utah exceed $36 billion. According to air quality measures from within Arches and Canyonlands National Parks – two prominent drivers of tourism dollars – visibility from human-generated haze was reduced 83 percent of the time relative to naturally occurring averages. 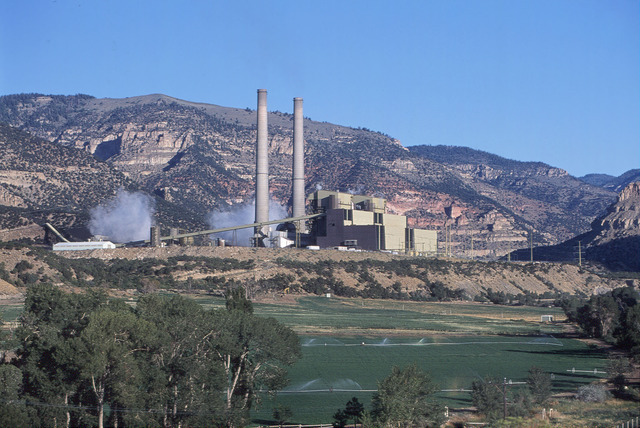 The task force claims the Hunter and Huntington coal-fired power plants are responsible for 40% Utah’s haze-causing nitrogen oxide pollution from the electricity sector. Fifty Arizona businesses joined companies from Colorado and Utah, and over 55,000 public signatures, urging the EPA to reject the plant’s assertions that current protocols are sufficient to reduce the heightened levels of nitrogen oxide and fine particulates. In all, more than 85,000 comments and petitions were delivered to the EPA in favor of the Clean Parks Plan, which the EPA supported today. 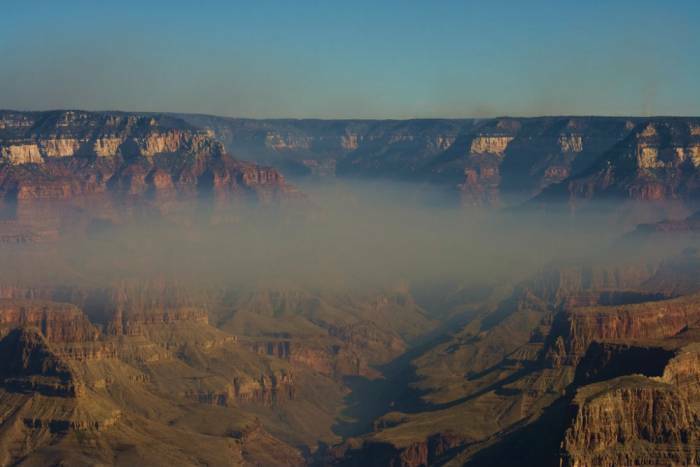 According to the National Park Service (and the thousands of signees), the pollutants significantly affected the air quality and beauty of nearby wilderness areas – most notably, the Grand Canyon. “The scenic views that characterize these parks are degraded on many days by industrial haze that impairs visibility and dulls sensational colors and contrasts,” Tammy Whittington, a superintendent with the NPS, wrote in a letter to the EPA. Last year, the EPA targeted the plants for improved pollution control measures after public outcry from the NPS and environmentalists, who observed pollution-mapping data that revealed the plant’s emissions traveled well beyond Utah’s borders. The ruling was against the wishes of plant-owner Rocky Mountain Power, which asserted that its current measures were working to address the problem. The company, which is the largest power provider in Utah, contended that the closure last spring of a third plant would also help alleviate the murky conditions. The EPA estimates that the proposed upgrades to the Utah power plants will reduce emitted pollutants by 87 percent.